Hand printed tea towels make special gifts which can be easily posted to a grandparent or friend who doesn't live nearby. 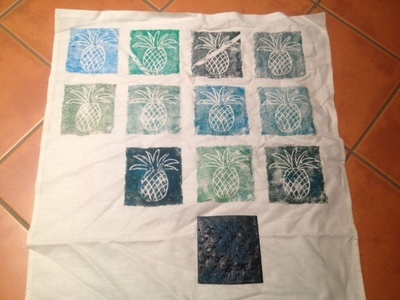 The printing process is cheap and easy and can be done with kids of all ages. 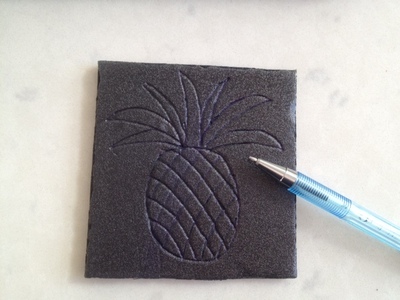 Make a print pad by cutting a square from a polystyrene food tray and scoring an image with a ballpoint pen. Click here to see a tutorial. 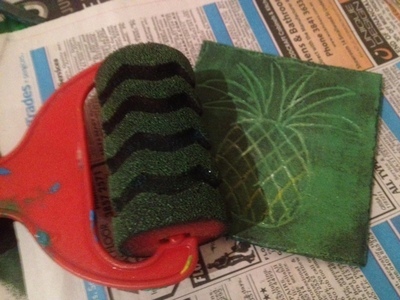 Apply fabric paint to the print pad with a paint roller. 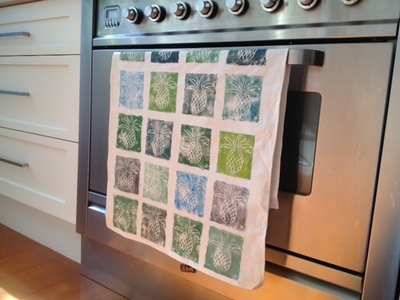 Press the print pad on to the tea towel and lift up. Repeat with the same print pad or different print pads. You could use the same colour or make variations of similar shades like we did. Allow the fabric paint to dry. 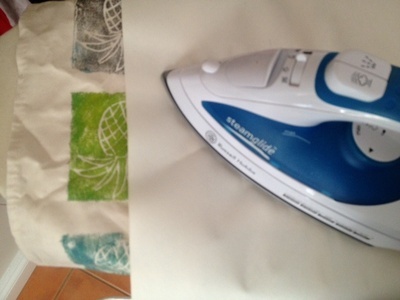 Put a piece of paper over the finished tea towel and iron for several minutes to fix the fabric paint. 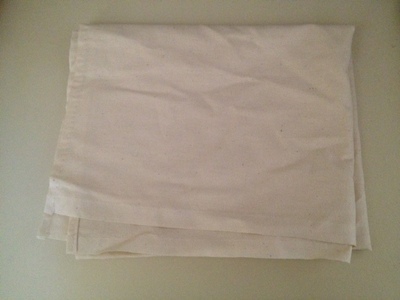 The tea towel can now be used, washed and ironed as usual. 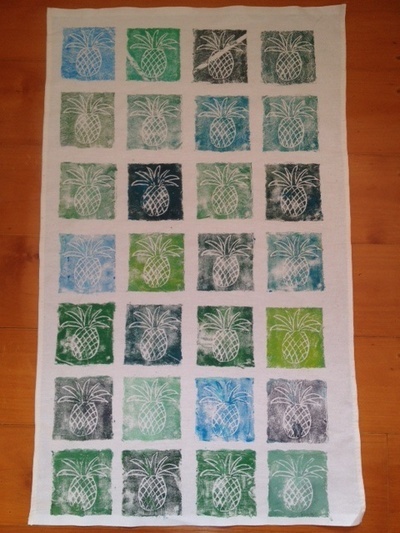 Older kids could also try lino printing. Why not make a pretty gift box, gift bag or wrapping paper for your tea towel gift? You could also make a greeting card or gift tag to go with it. Love this! Will definitely be doing this for xmas gifts!